Minimalistic gaming squared. Cubes everywhere. A cube here, a square there! Welcome to a world almost completely void of color. Everyone here is neither happy nor sad, just… alive. Nothing more, nothing less. Surely there’s a young cube, eager to explore the world and maybe, just maybe, color the world in the process? (Spoiler: yes, you). As the game begins, you’ll hear the tale of a tired old (and rather large) cube, as he chronicles his life – through good and bad times. From what I can tell, he wants to help make sure you do more with your life than he did, have fewer regrets, avoid repeating his mistakes and, perhaps most importantly, leave a lasting impression on both the places you visit and those you meet – no pressure. Right. Logic would dictate that travelling the world is much too dangerous for such a young cube, but you know what they say: no guts, no glory! Well, that and, none of the cubes I met seemed hostile, giving me the impression that Cube and Star is 100% exploration, 0% action. That said, I would have liked movement to be just a bit faster, as it felt rather slow. Roaming the lands in search of ancient treasure and journal pages from the cubes here before you was still fun though. 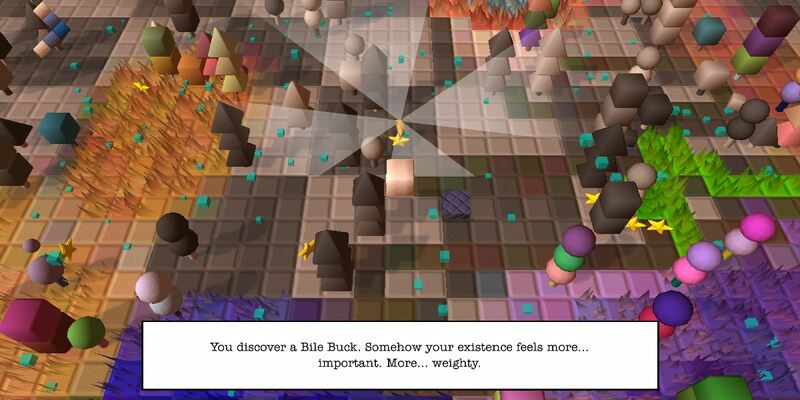 Cube and Star: A Love Story is a game about the joy of exploration – the joy of… aimless but mindful wandering. 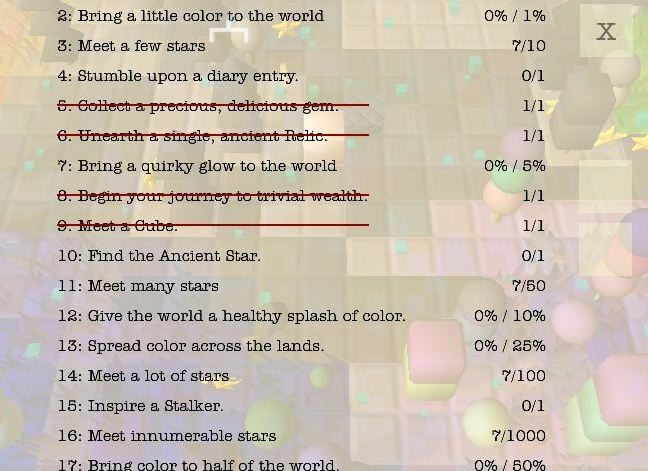 While Cube and Star is very much a sandbox experience, you do have a checklist full of goals at your disposal. These range from simple feats like ‘leave home’ and ‘meet a cube’, to more long-term ones like ‘bring color to half the world’ – that’s gonna take a while for sure. As you do this, keep in mind that the more (and which) color(s) you bring upon this world, the more you also reshape it in your image, including its inhabitants. This means that you’re actually breathing life into a stale and grey world, simply by applying colorfulness to it. You’re basically an omnipotent being and your wand of creation is a paintbrush (well, not quite, but I think that’s the gist of it). 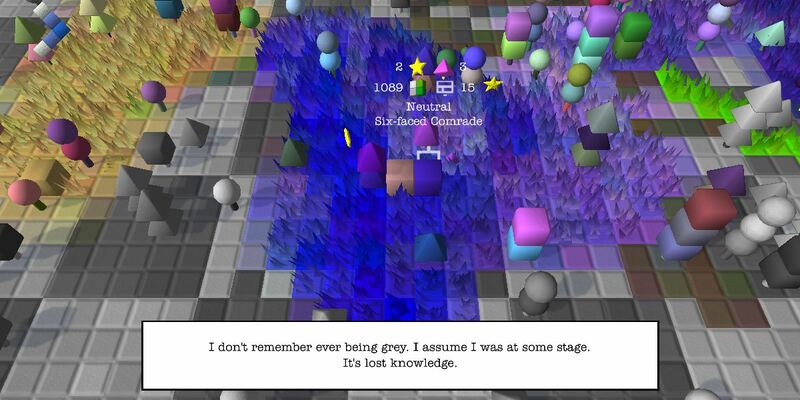 Those interested in trying Cube and Star (A Love Story) should check out the playable browser version. Color the world, and remember what the old cube said!